Modern gamble is very demanding. You need to cater to the whims and fancies of all types of customers, get them interested in your particular theme and layout; appeal them with welcome bonuses and other offers, provide their favourite top quality games, etc. and yet sometimes the player is not satisfied. Phew!! So difficult! But one online casino, which goes by the name of iGame casino is breaking all barriers and emerging as a clear winner. The casino, founded in 2011, is owned by iGame Malta Limited, who also owns other sites like 24h Bet, Bohemia casino. The Malta Gaming Authority has given regulating licenses to this casino so you need not have inhibitions regarding any discrepancies. The atmosphere of this casino is lively and encourages you to take up gambling even if you are very inclined towards it. It gives you a feeling that you have always been a part of gambling; that’s the effect the site has on you. Apart from English, the casino operates in Norwegian, Finnish and Swedish. When we say that the casino is an emerging winner, we mean that it offers good bonuses and promotions. How else can a casino be a forerunner if not for the deals it offers? iGame welcome bonus beats the offers of many other contemporary casinos. Welcome offer: The welcome package gives you a chance to triple your money and earn a good amount of bonus spins. Just register and do yourself this favour. The first 4 deposits that you do also fetch you some decent percentage of bonuses. Monthly Promotions: Every month, there are promotions going on. All the players are entitled to something every day. Usually, these are in the form of spins. Play your game with these spins, and a player with the biggest margin of win get some more spins or something similar. The winner of a week wins real big prizes, eg: the current month’s take away prize is an iPhone X. Pool Prizes: Play a specified slot mentioned in the website and stand a chance to win the total prize to be shared between a number of participants. Free Spins at registration: You are rewarded with a certain number of spins when you open an account with iGame. You are eligible to play for free for an initial period. Live Casino Challenge: Each week of a random month will throw a new challenge. The players winning big will get to take part in the grand finale at the end of the month. Keep your eyes open for the tournaments. Daily Deals: There are everyday deals on offer. You will be offered extra spins on one particular game when you deposit a specific amount. The deals change every day, so don’t miss out on them. Refer a friend: Whenever you are referring a fellow player, you can win a cash prize if he/she makes a deposit and meets the requirement criteria. It may be kindly noted that the bonus terms and conditions vary from day-to-day. The promotions too don’t hold true for a long time. It is recommended that you check the site frequently for any updates regarding the same. iGame casino games gallery consists of almost every game that a gambler can think of. The casino takes pride in the fact that it offers more than 400 games from the best in the industry like NetEnt, Microgaming, Play’N Go, NYX, Relax Gaming. If you are losing interest in playing the same games over and over again; then there are some brand new game studios that would take you by surprise. One such prime developer is Push Gaming, which has been existing only since 2010 but offers an interesting range of games featuring new themes and bonuses. The casino is well known for slots. But it also offers a wide range of table games, video poker and live games. Slots: It includes a splendid collection of slots like Starburst, Twin Spin Deluxe, Asgardian Stones, Gonzo’s Quest, Hugo, Aloha! Cluster Pays, Big Bad Wolf, Matsuri, Immortal Romance, Joker Pro, Planet of the Apes, etc. Video Poker: You can choose among Deuces Wild, variations of Jacks or Better, Joker Wild, Pile Poker, etc. Table Games: You will come across poker, Blackjack, roulette, baccarat, card games such as single hand or multi hand Blackjack, professional series of Oasis Poker, TXS Hold’em and more. Jackpot Games: The biggies like Mega Fortune, Mega Moolah, Caribbean Stud Poker, Divine Fortune, Mega Joker, Cosmic Fortune, etc. might just help you accumulate a little fortune. Live Casino: You get to play all live versions of Roulette, Casino Hold’em, Blackjack, Three Card Poker, Baccarat, Caribbean Stud Poker. E-wallets take 0-24 hours for processing. Credit and debit cards consume anywhere between 48-96 hours for getting processed. The usual bank transfers take up 24-96 hours. The pending time is usually one day. 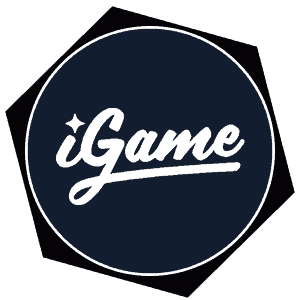 The owners at iGame casino know the importance and difference between a good customer support and the best of customer service. 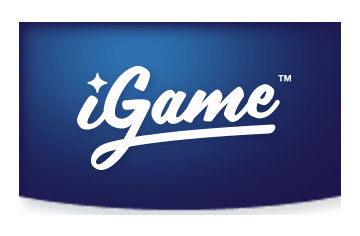 The team at iGame customer support is available for a live chat from Monday through Saturday between 8:00 am and mid night. Just in case, a customer agent is unavailable at any given point of time; there is an online query form available with the casino, which you can submit. You can make use of the email facility too to get in touch with the customer service representatives. You would be getting a reply in both the cases at the earliest, most probably the next working day. For general queries, you can refer to their FAQ section. It is not just the games and promotions, which are impressive. The overall website itself is graphically superb. The logo too is designed in a simple yet definitive way, with a star on the alphabet ‘i’ used as a title instead of the regular dot. The home is a mix of purple and pink showing warriors with swords, bow and arrow and wielding other weapons. It looks as if they are from outer space what with a man wearing a space suit hovering beside them. You can see some card symbols too floating here and there. There are other pages with a casino backdrop and a singer is seen with a mike in his hand. The games, promotions, tournaments tabs are at the left side of the site. Another page shows a modern city full of building structures and people roaming in a car. iGame security features are without any loopholes. The security is made robust with the highest level of internet security. They employ solid firewalls so that nothing interferes with accessibility; a stringent policy of maintaining confidentiality and the ever-trusted secure sockets layer (SSL) encryption. The games have passed through rigorous audits by TST and eCogra, which is a testimony to the fact that all games are fair and not rigged. The casino also sticks to the regulations laid down by Data Protection Act. If you have chosen iGame as your preferred choice of casino, you can be confident that you won’t regret your decision. You need to register yourself and see it for yourself. Offering a telephonic customer support. The FAQ section can be made to include a little more comprehensive. Includes a long list of countries in which it is restricted. Online banking options are less. Well stocked library of live casino games. Very attractive promotions and deals. The site’s compatibility on mobile devices and all Android devices. The fact that the casino sticks to relevant regulations and is proven fair.